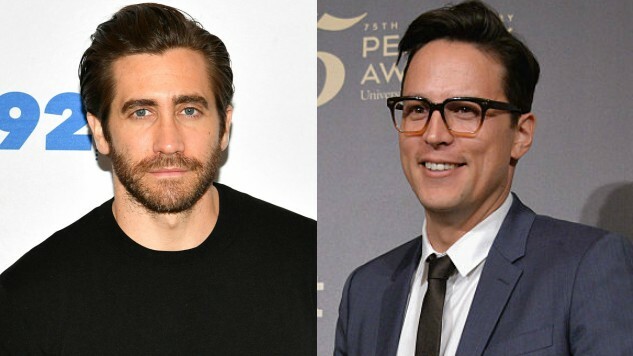 Oscar nominee Jake Gyllenhaal will play legendary composer Leonard Bernstein in the forthcoming biopic The American from director Cary Fukunaga. The composer was best known for scoring great films such as On the Waterfront, which earned him an Oscar nomination, and On the Town. However, his most famous achievement was composing the music for West Side Story. “Like many people, Leonard Bernstein found his way into my life and heart through West Side Story when I was a kid,” Gyllenhaal said in a statement, according to IndieWire. Bernstein achieved huge success quite young. A Harvard graduate, the Massachusetts-born composer was named Assistant Conductor for the New York Philharmonic at the young age of 25. He later served as Music Director for 11 years. Throughout his career he oversaw orchestra concerts at Carnegie Hall and in London, Tel Aviv, Milan and more. His televised performances won him 11 Emmys and a Lifetime Achievement Award at the Grammys in 1985. He retired in October of 1990 and unfortunately died just five days later from a heart attack brought on by mesothelioma at age 72. Bernstein was a heavy smoker and suffered from emphysema since his early fifties. Gyllenhaal’s production company, Nine Stories, will produce the film, with BRON Studios financing. Screenwriter and executive producer Michael Mitnick (The Giver, The Current War) adapted the film’s script from author Humphrey Burton’s 2001 book Leonard Bernstein. The executive producing team also includes New Yorker staff writer Adam Gopnik and his wife, Martha Parker, Gyllenhaal’s business partner Riva Marker (Beasts of No Nation), Jason Cloth (Fences) and Aaron L. Gilbert (Tully). Nine Stories recently produced Gyllenhaal’s Sundance starrer Wildlife from actor-turned-director Paul Dano. Wildlife also stars Carey Mulligan, whose turn made our list of the 10 best performances of the 2018 Sundance Film Festival. Fukunaga is known for directing feature films Beasts of No Nation with Idris Elba and Jane Eyre with Mia Wasikowska, but is probably best known for directing the first season of HBO’s True Detective, which earned him an Emmy. The director also has a mysterious Netflix series on the way, Maniac, starring Jonah Hill and Emma Stone. Gyllenhaal, who earned his only Oscar nomination for Brokeback Mountain, has given several incredible performances overlooked by the Academy, most notably Nightcrawler, Stronger, and Donnie Darko. Thankfully he has several projects coming in the near future that could earn him some Oscar love, including The Sisters Brothers from Annapurna Pictures and Tom Clancy’s The Division with Jessica Chastain. He’s currently shooting the Netflix film Velvet Buzzsaw with Toni Collette and Rene Russo, from his Nightcrawler director Dan Gilroy. Production on The American starts this fall.